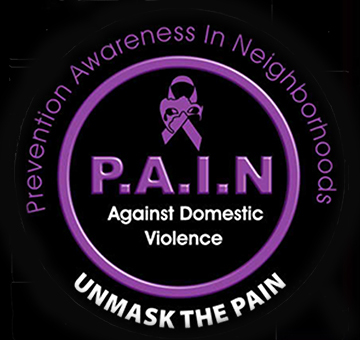 To help us make a significant impact on helping to bring awareness against domestic violence, the Artists In Music Awards as teamed up with the P.A.I.N Foundation (Prevention Awareness In Neighborhoods). This nonprofit organization will be able to best allocate to provide expertise and programming that will help each other meet our goals. The P.A.I.N. Foundation is endorsed by Mark Sanchez of the New York Jets, Jessica Simpson, Reba McEntire, Marie Osmond, Pamela Bach Hasselhoff, and now, endorsed by the Artists In Music Awards. Funds raised through ticket sales to our events will be used to support the P.A.I.N. Foundation Fund. These funds will support a wide range of critical research and help fund a series of domestic violence education films. The P.A.I.N. Foundation Fund will provide assistance for the cost of movie production and financial costs of traveling – including airfare, gas and lodging. Founded in 2010 by Patty McCall and Lisa Ann Vombrack, the P.A.I.N. Foundation is an organization dedicated where children and adults can combine an understanding of filmmaking through a series of short films with a domestic violence theme. Bringing greater awareness to the challenges of domestic violence in all of its forms and to heighten strategies for prevention, especially among teens. To help make a difference in the communities and around the nation. We are giving women hope, healing and encouragement to Overcome, Feel Good and Move On. We are impacting lives and providing a much needed source for everyone involved in the cycle of violence. We reach out to families who struggle with this issue throughout the United State because every 8 seconds someone is being abused, let's put a stop to it! To educate women and teens in the community and schools about prevention and awareness of domestic violence in their relationships. This organization networks with other organizations to provide a means of escape and a safe place to start over and move on.